The State Water Resources Control Board’s Cease and Desist Order 95-10 required the reduction of California American Water’s unlawful pumping from the Carmel River. 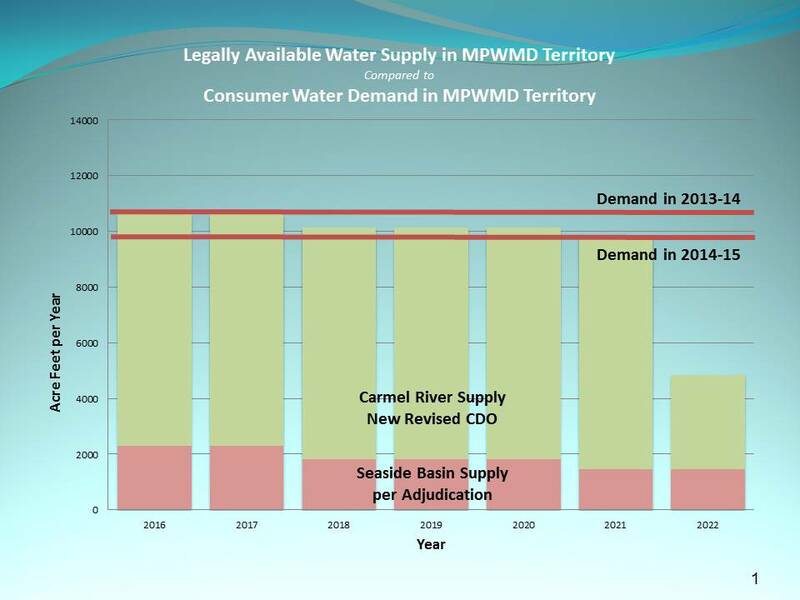 In July 2016, the State issued Order 2016-16 that extended the time period for withdrawals from the Carmel River through 2021 when new water supply projects should be in operation. Combined with production from wells in Seaside, these new limits are sufficient to meet actual 2014-15 customer use in the California-American Water System but conservation efforts must be continued to ensure adequacy of supply.